Sony Pictures and Marvel Studios have released two brand spanking new trailers for 'Spider-Man: Homecoming!' 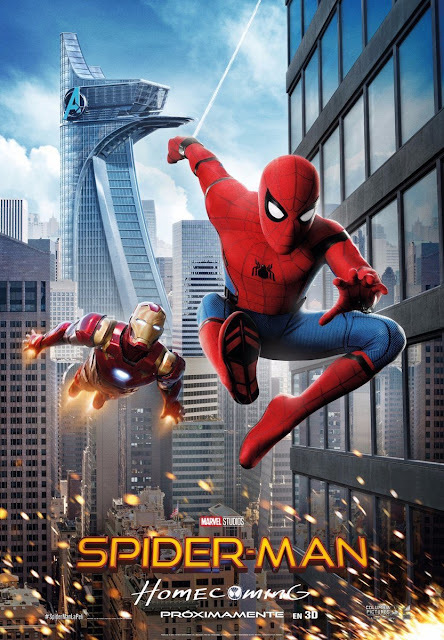 Directed by Jon Watts the film stars Tom Holland, Michael Keaton, Zendaya, Donald Glover, Jacob Batalon, Laura Harrier, Tony Revolori, Tyne Daly, Bokeem Woodbine, Marisa Tomei, and Robert Downey Jr. Following the events of 'Captain America: Civil War,' Peter Parker tries to balance his life as an ordinary high school student in Queens, New York City with fighting crime as his superhero alter ego Spider-Man. The film looks amazing and count us very, very excited on this one!